Cristiano Ronaldo Accepts 2-Year Prison Sentence & $21 Million Fine. The Real Madrid and Portugal star was accused by Spanish prosecutors in June last year of defrauding tax authorities of £12.9million (€14.8million). He initially denied allegations that from 2011 to 2014 he defrauded the Spanish treasury when he appeared in court last year. 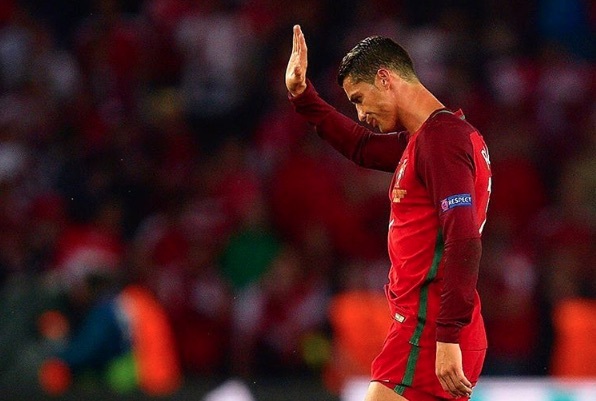 Ronaldo allegedly concealed income from image rights sales through an opaque financial structure which involved diverting money via Ireland into a tax haven. Since then, lawyers and agents representing Ronaldo are understood to have been negotiating with the treasury about a settlement. But the former Manchester United ace has now reportedly pleaded guilty to four charges of fraud in exchange for a lesser penalty. He accepted a two-year suspended prison sentence and a fine worth £16.5million (€18.8million), according to Spanish newspaper El Mundo. Ronaldo, 33, will not face any time behind bars because he has no previous convictions. Under Spanish law, a sentence of two years or under can be served on probation providing the offender has no prior convictions. The allegations have echoes of the case against his greatest rival Lionel Messi, who was last year fined 3.5million (€4.1million) after being found guilty of tax fraud. The Barcelona star was fined £1.7million (€2million) and was sentenced to 21 months’ prison, reduced on appeal to 15 months. During a court hearing in July last year, Ronaldo’s lawyers said he “didn’t break any laws, all he did was follow criteria that the tax inspectors don’t like”. But anti-corruption judges accused him of using shell companies to hide his wealth in the British Virgin Islands, a tax haven. El Mundo reports that Ronaldo had “presented to the Tax Agency only a few weeks ago a proposal to reach an agreement”. His initial offer of £12.1million (€14million) and guilty pleas for four tax fraud offences was rejected and a counter proposal was issued by the Spanish State Bar, the paper said. An increased fine of £16.5million (€18.8million) and a two-year suspended prison sentence was accepted by Ronaldo. Between 2005 and 2010, foreign players in Spain were protected under the so-called “Beckham law” allowing them to curb their taxes. But as the financial crisis bit deeper, that exemption was lifted, paving the way for the cases. The football superstar will be glad to see the back of the case as he prepares to take part in Portugal’s World Cup opening match against Spain on Friday. Portugal will believe they have the upper hand after Spain dramatically sacked their manager Julen Lopetegui earlier this week. Manchester United manager Jose Mourinho said Ronaldo, who he managed at Real Madrid, has “one last chance” to win the World Cup. Ronaldo has never lifted the World Cup despite having a trophy cabinet packed-full of honours, including five Champions Leagues.